It’s hard to argue with the statement that peppermint bark is the ultimate Christmas delicacy — it’s sweet and minty, bringing back all those childhood memories of sucking on candy canes and peppermint candy, while also being double-chocolatey with its two decadent layers of milk and white chocolate. It can be difficult to find peppermint bark on a college campus, as it’s more of a seasonal treat than the typical convenience store candy bar, but good news for you: It’s actually extremely easy to make by yourself! Using three easy-to-find ingredients and a standard microwave and freezer, you’ll have this jolly little treat in your hands in no time and be asked to “chip away” as many pieces as you can share with all of your friends, co-workers and family! 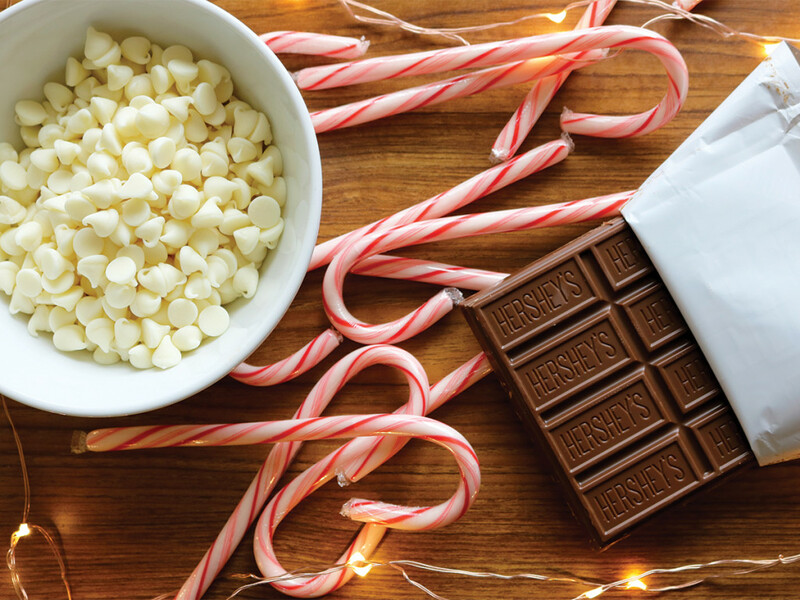 … it’s sweet and minty, bringing back all those childhood memories of sucking on candy canes and peppermint candy, while also being double-chocolatey with its two decadent layers of milk and white chocolate. Place the candy canes inside a Ziploc bag and crush them into tiny peppermint chip pieces using the bottom of a glass cup or another blunt surface. Break your milk chocolate pieces apart and drop them into a non-plastic or heat-tolerant bowl, then transport the bowl into a pot of boiling water. Stir constantly as the chocolate will melt quickly. As soon as about half of the chocolate is melted, remove the bowl from the pot and continuing stirring until the chocolate is fully melted. Repeat the above two steps with the white chocolate chips or truffle pieces. 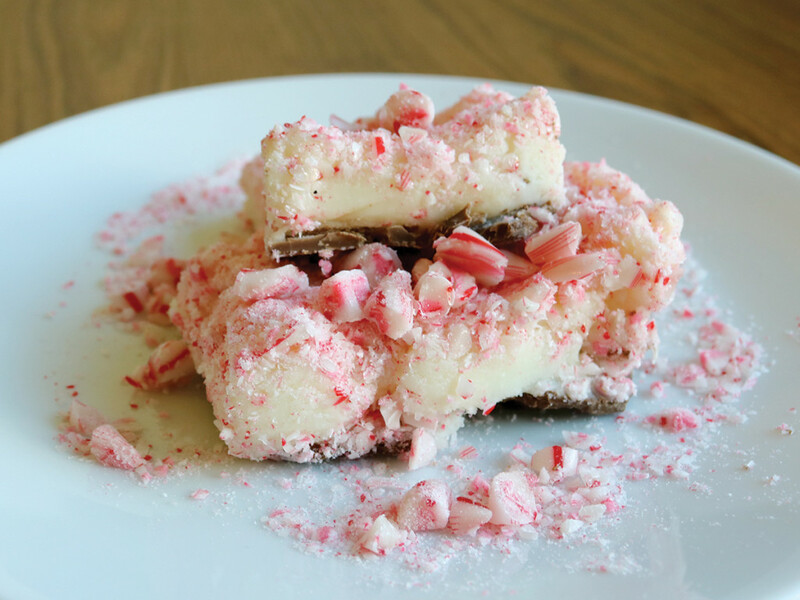 In a glass or metal baking dish, pour in the layers of peppermint bark with the milk chocolate going in first, white chocolate being second and the peppermint chips sprinkled on top. Freeze the peppermint bark for about two hours, or until the bark is completely hardened, and cut into rectangular pieces with a sharp knife. The pieces should not be able to reform or bend easily if it has reached the optimal amount of freezing time. In an airtight container, store the bark in a cool, dry place for up to two weeks.